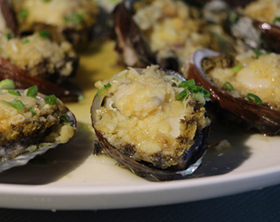 Naozhou abalone is known for its fresh taste, tender meat and rich nutrition. The food features a stuffed glutinous dumpling between two jackfruit leaves or banana leaves. 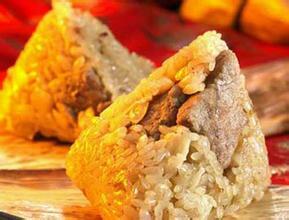 The pork has a golden luster and tempting smell. 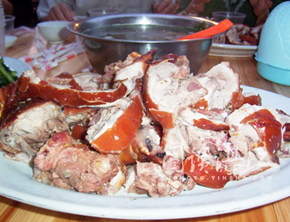 It features clear-cut skin, non-greasy and lean meat, as well as a crispy and tender texture. 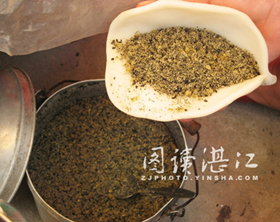 The glutinous rice cake is a traditional snack made of rice, glutinous rice, peanut, sesame and golden slab sugar. 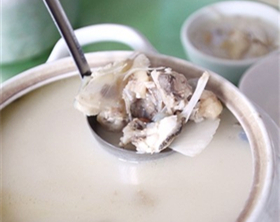 The soup uses bighead carp raised in a reservoir, and features a milky, sweet and palatable taste. It's good for the brain and health. The sea, where a great number of jellyfish gather in spring and summer embraces Zhanjiang. 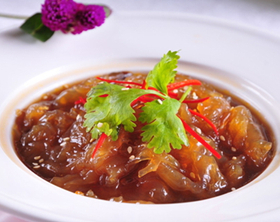 Processed jellyfish is rich in nutrition and delicious. Sticky rice is rinsed and sundried, then fried with fresh lard oil. Clam betel is a very common wild short plant in Zhanjiang and has a strong vitality. 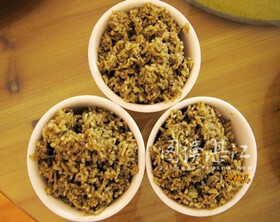 The clam rice is one of the most popular foods among locals.